Blocky shape - good prints? 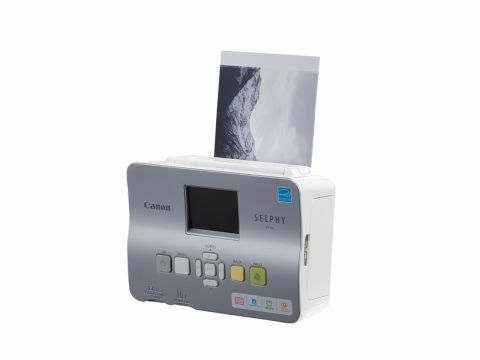 While most printer manufacturers seem to be phasing out their postcard printers and are no longer actively marketing their existing models, Canon is in a tiny minority launching new models. First up is the Selphy CP780. The CP780 is remarkably compact, although the clip-on paper tray adds considerably to its footprint and you also have to leave a space behind the printer. This is so that the page can exit between each of its four passes through the paper transport system, during which each of the three dye layers and the final protective coating are successively added. As with the Canon ES30, the so-called 'continuous tone' nature of the technology allows for full 24-bit (16.7 million colours) printing from just three dyes. Despite all the back and forth sheet-feeding of the dye-sub process, print speeds are respectable, taking a little over a minute to create a fully finished 6x4-inch photo print. Complete with onboard image processing, the CP780 can detect faces in images and correct their brightness automatically while ensuring that backgrounds stay correctly exposed. This worked well in our tests, as did other enhancements like automatic red-eye removal. Colour proved quite punchy and vivid but the CP780 had a nasty habit of blowing highlights.